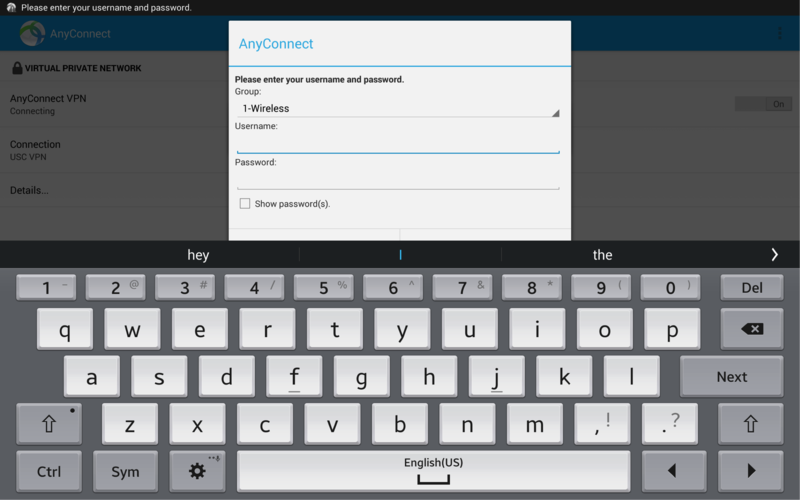 This page provides instructions on how to download, install, and connect to the Cisco AnyConnect Secure Mobility client from mobile devices that runs the Android operating system. Note: Due to the many different types of Android devices, not every Android-based device will work in the same way. 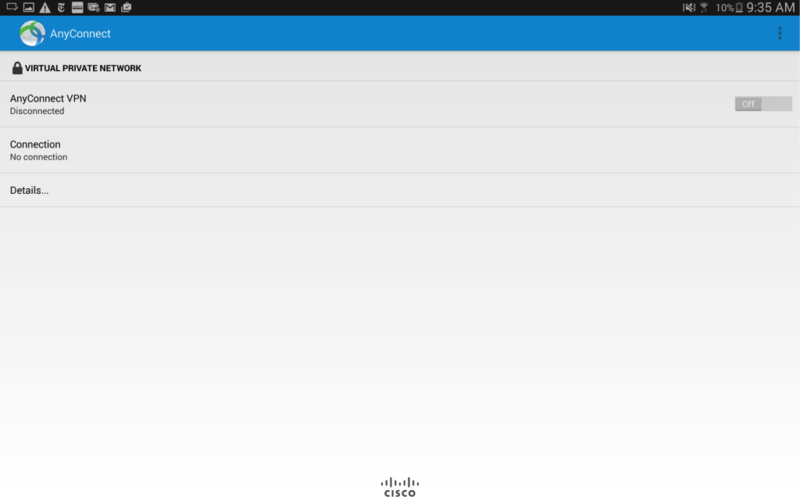 ITS is not able to guarantee that these instructions will work on every Android device (4.0 and later). 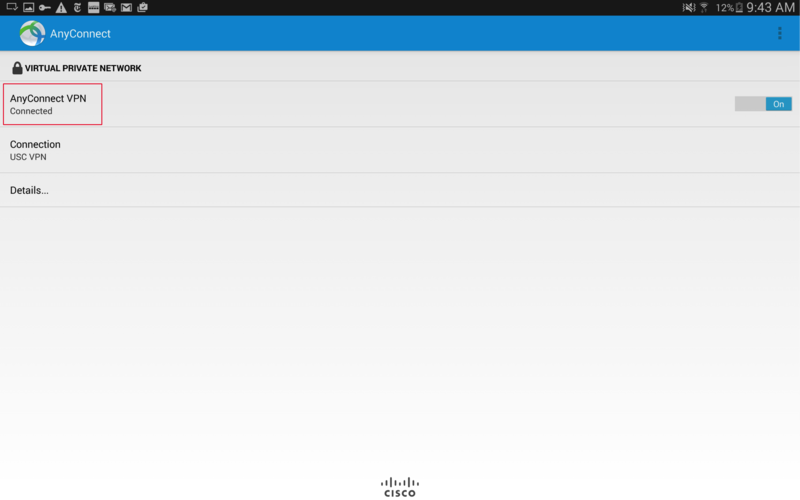 This documentation was created using Android 4.2.2 on a Samsung Galaxy Tab. 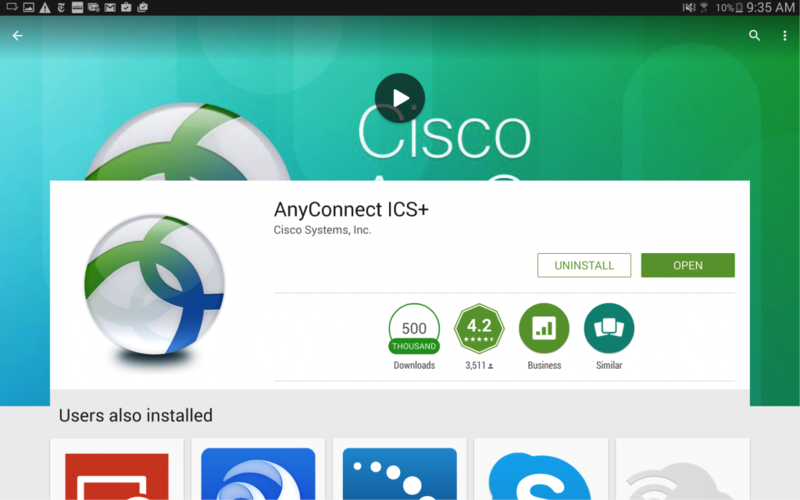 Download and install the AnyConnect ICS+ client from the Google Play Store. Once the app has finished installing, select Open to launch the application. On the next screen, click OK to accept the license agreement. 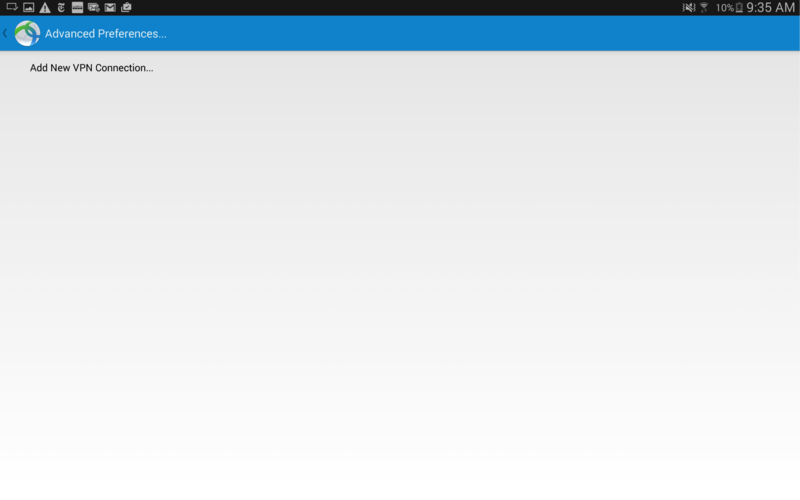 To configure your USC VPN connection, tap Connection. On the Advanced Preferences screen, tap Add New VPN Connection. In the Description field, type USC. 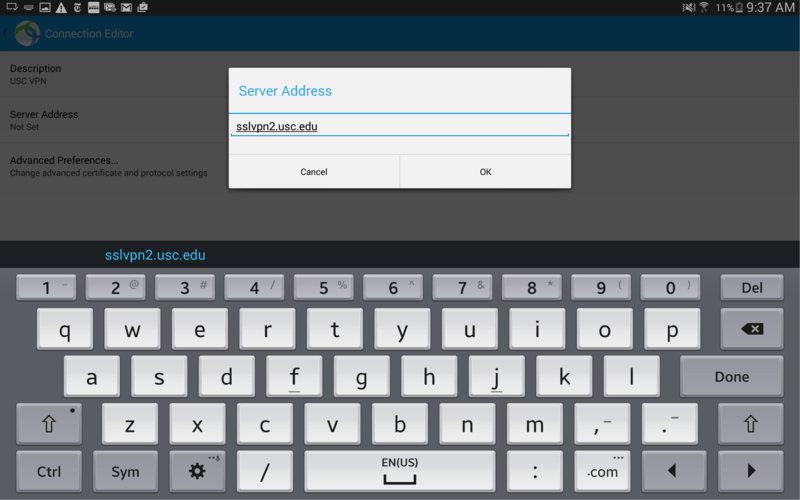 In the Server Address field, type sslvpn2.usc.edu and then tap Done. 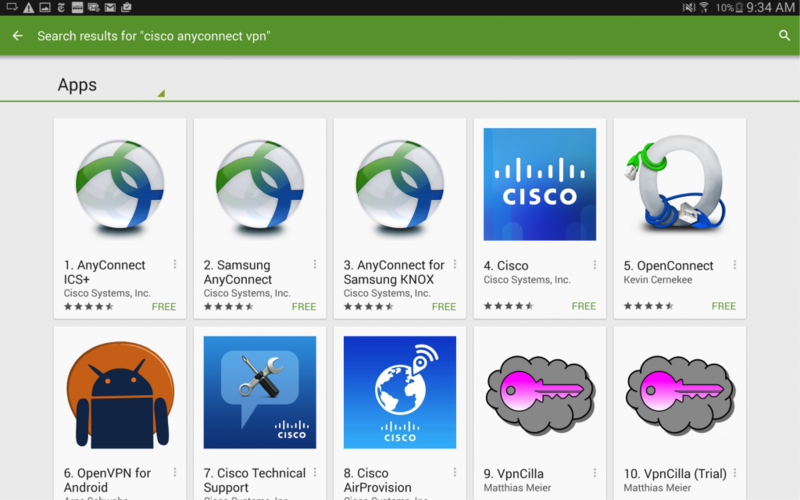 Select the AnyConnect VPN icon from your device and then tap AnyConnect VPN. In the Username field, enter your USC NetID username. Your USC NetID username and password are the username and password you use to connect to services such as my.usc.edu and Workday. In the Password field, enter your USC NetID password. NOTE: The first time you connect, you will be asked to trust the application. Check the box next to I trust this application. to accept this and connect to VPN. When you have successfully connected to USC VPN, the app will say Connected under AnyConnect VPN. 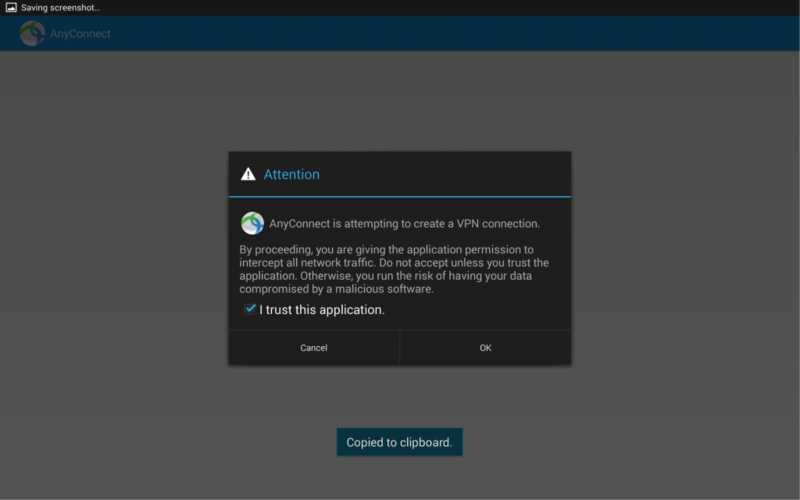 To disconnect from VPN, move the slider next to AnyConnect VPN to Off. 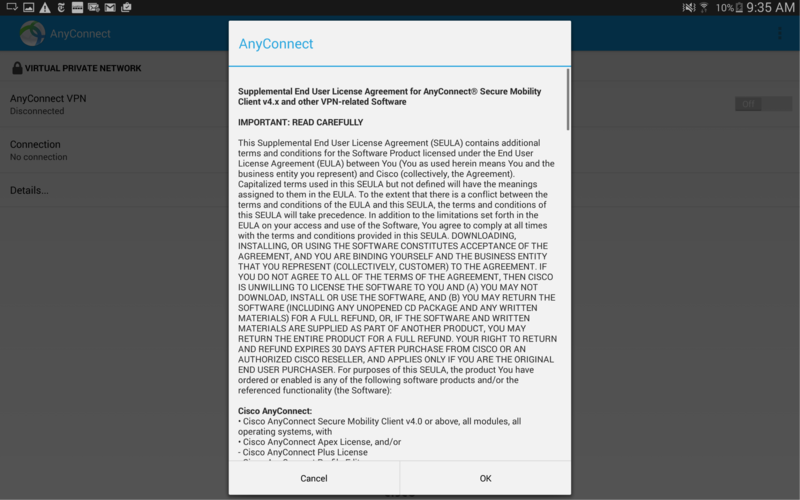 If you need help installing and connecting to your AnyConnect Secure Mobility client, contact the ITS Customer Support Center.